We empaths want to heal the world. It is a natural desire born out of the pain which we feel from others. It is ultimately selfish of us, but only because we want to feel better and that’s a very good thing. We do not always want to feel the pain, so healing others helps stop the pain. Because of this desire to help heal the world, empaths have a personal responsibility to keep themselves in a state of healthy emotional well-being. When you are feeling the pain and desperation of others, that’s not always an easy task, but with a little bit of work, it is possible. Too often we allow ourselves to wallow in the pain which we feel from others. Sometimes we even find a little bit of pride in our abilities to feel it. Sometimes we let the pain get us to the point that we are stuck in a cycle of frustration, hopelessness and self-pity. We trick ourselves into thinking that we should take on the world’s pain, as if this would lessen it somehow. But unless we are able to be emotionally resilient, this can lead to some very undesirable states of being. My fellow empaths, this does not heal the world. As empaths, we must examine ourselves and our motivations closely in order to bring about the change we wish to see on the planet. We must first learn the art of self-care. 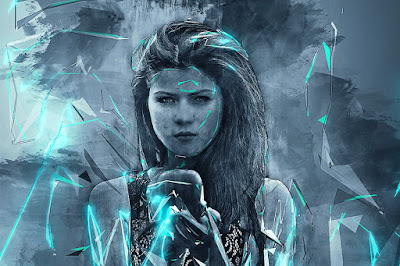 The following are some practical steps you can take, as an empath, to help yourself stay in a clear and receptive place so that you may use your gift and help heal the world. Once you have mastered these, then you will be in a healthy place to be there to assist others as your heart desires. Always take care of yourself first. I known that it seems counter-intuitive to say that in order to assist others, you must first take care of yourself, but it’s true. Think of the pre-flight safety message the airlines give just before take off. They tell you, “Secure your own oxygen mask before assisting others.” If you do not care for yourself first, you will not be able to breathe and you cannot be there to assist others. Take the time to listen to your own needs and don’t neglect fulfilling them. Make feeling good your number one priority and do everything you can to keep yourself in a positive state of mind. Do not worry about taking it too far and becoming narcissistic. Empaths cannot treat others poorly and still feel good, it's just not possible. So don't let that stop you from giving yourself the love you need. This is not selfishness, this is self-care. Listen to the story you tell over and over again. Listen to the words you use most often, as words are much more powerful than most people realize. Words increase energy and focus, and that leads to creating more things just like it. Are you, like many of us, telling the story of how hard it is to be you? If so, then you are going to continue to struggle with your life and you will never see improvement. Stop repeating to yourself and others how painful it is to be an empath. If your soul didn’t think you could handle it, you would not have been given this gift. You are strong enough. If you continue to tell the story of how terrible it is, life will only continue to show you more of it. Change your focus from yourself and instead, focus on uplifting others and the planet. This is why you have this gift. It’s not to come in and complain about how miserable it is to be empathetic. Time to stop that way of thinking right now. Whenever you disagree with someone, stop responding out of fear, disgust, hatred or annoyance. This will not solve anything, but only perpetuate the problem. 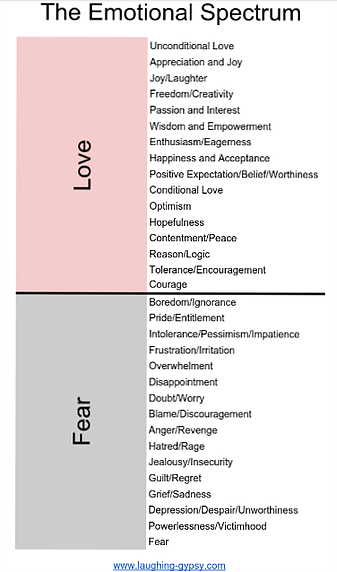 As Dr. Wayne Dyer said, “You cannot remedy anything by condemning it.” Emotions near the Love end of the emotional spectrum (see figure 1) are the only emotions which will lead us to the solution. If someone should say something which gets you worked up, stop and take a deep breath. Ask yourself if what you are about to say is helpful, kind and true. It must be all three if it is going to do any good. If it is not, then don’t say it! You will not help anything by continuing the momentum of negative feelings. Stop thinking that you are the only one with the answer. Arrogance is sometimes difficult to spot, but if we are mindful of our emotions, thoughts, words and actions, we can become more aware of our habit to think that only we know what’s best. This is not how one gains wisdom. Any answer near the Love end of the emotional spectrum (as opposed to Fear which is love's opposite) is worthwhile and a valid form of information we can consider. There may be several solutions to a problem and we must not close ourselves off from these by thinking that we are the only ones who know better. Be open to learning from others, especially if they disagree with you. Stop resisting the things you do not like. In other words, stop focusing on the problems. Stop pointing out all the things which make you feel anything but good. Stop posting sad and miserable things on your social media. Don’t participate in things which make you angry and annoyed. We don’t need to shine a light on the problems of the world, we need to focus on the solutions instead. Start saying and posting positive, uplifting messages. Share things which make your heart feel light and happy. Always look for the bright side and share that view with others. Your focus is very powerful, a wise person does not underestimate it. By putting your focus and attention on the problems, you increase the energy behind it and this creates more problems just like it for you to resist! You might have heard the expression, “What you resist, persists.” It’s true. Learn about the Law of Attraction and use it to your advantage. This goes hand in hand with the last one. If you want to see a big improvement in a very short amount of time, cut out or drastically reduce the amount of media in your life. The best way to stop focusing on the problems of the world is to take a break from the media as often as possible. Media gives us a very distorted view of the world, we must learn to develop our own view and our own opinions. Turn off your television, turn off your laptop, turn off your smartphone and go for a walk in the woods. Find a way to spend more time in nature. Walk barefoot upon the earth as often as possible. Unplug and unwind even if it’s only for twenty minutes at a time. Do this daily. This will do wonders for you and the rest of the world. When you do engage in media, I encourage you to be a snob about it. Weigh each piece with scrutiny. Be smart about it and look for the hidden messages. Check in with yourself. How does this piece of media make you feel? Does it uplift you and give you hope? Or does it drag you down, making you feel less than good? If it does not seem to be serving your soul growth, let it go. It will not help you and you do not need it. 7. Get Your "Me Time"
Spend more time alone. As empaths, this is a crucial step in self-care. Being with others can be great, but if we are the type to sacrifice our own happiness for others, we can sometimes forget to tend to our own needs and this can lead to negativity in many forms. Carving out time to be alone will help you with this. Pick your favorite activity (or non-activity) and go and do that for an hour or more. Do this several times a week. This is also a great way for empaths to hone their skills. By being alone, we gain a greater sense of understanding our own abilities and increase our psychic skills. Don’t waste your time on those who refuse to help themselves. Whenever you witness someone complaining about something, yet they refuse to do anything to change it, it’s time to distance yourself. You can’t help the people who are unwilling to change. They must be ready first. Don’t make yourself crazy trying to “fix” them when they aren’t in a place to even hear you clearly. Just send them love and light. Maybe one day, when they are ready, they will come to you for help. Until that day, wish them well and carry on with your own agenda. If you’re extra sensitive, like me, learn to shield yourself psychically before interacting with others (this also includes online interactions). Sit or stand by yourself for a few minutes and take a few deep breaths. Going outside, barefoot in nature is best, but if that’s not possible, just find a quiet place for yourself. Now bring your attention to your feet. Imagine strong, healthy roots shooting up from the earth beneath you, penetrating anything in between you and the earth, and attaching themselves to the bottoms of your feet. Feel yourself rooted firmly in the ground, strong and unshakeable. Now bring your attention to the top of your head. Imagine bright, shining light coming down from the sky above you, passing through anything in between and entering you through your head. Let it slowly fill your body with its warmth. Feel your connection to both the earth and the universe and let them shield you in a glowing, loving light. This is your shield to protect you from the negativity of others. This is always available to you and visualizing this will help you solidify in your mind that you are in charge of your own feelings. You will still be able to feel the emotions of others, but they will not penetrate your shield. Instead, you will recognize them as not your own and be clear about how to respond because you are not incorporating what they are feeling into your own emotional state. This little exercise has done wonders for me in helping me deal with the stress of being around others, especially in crowded spaces. I used to suffer from panic attacks whenever I was in a large crowd, but not anymore. Now I can walk through a crowd as if I am a firewalker, able to stroll across the hot coals without getting burned. If you feel so inclined, you can also wear a crystal or two to assist you in keeping a helpful vibration when you are around others. My favorite for this purpose is labradorite. I wear a pendant of that near my heart chakra to assist me in maintaining my shield. As empaths, we owe it to ourselves to keep ourselves in a good place emotionally, physically and spiritually. Not only because everyone deserves that, but because we want so desperately to ease the pain of the planet and its inhabitants and we can’t do that if we are not mindful about our own state of being. What the world needs now is more love and that all starts with having love for the self. 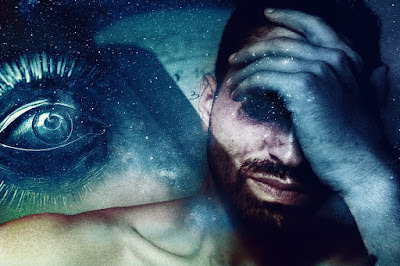 If you found this blog post helpful, please share it with other empaths. The more we inform ourselves, the more we can bring about the positive changes we want and the sooner we create a better world. After all, that's why we're here, isn't it?